A friendly plumbing and heating merchant open to the trade and the public. We are a stockist of leading brands and offer a wide range of products to cater for all budgets and projects of all sizes. We are here to help! If you have any questions at all, then please do not hesitate to contact us. We have had a complete new bathroom and shower room. Paul was extremely helpful and great with his advice. He was very patient when we changed our minds and ordered samples for us to borrow to make sure we made the right decisions. We can't recommend them highly enough, you won't be disappointed! Paul was on the ball when I needed a toilet as the other half broke it this morning - the perfume bottle fell on the pan. All happy as Larry again as it's fixed. Thanks Four Ashes plumbing and thanks Paul. When needed a new bath I got in touch and spoke with Paul who picked me out my ideal bath with all the necessary bits home delivered in no time at all. 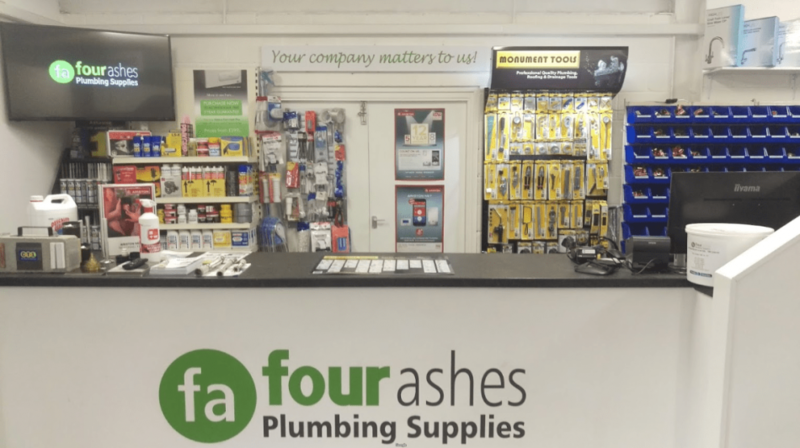 © 2019 Four Ashes Plumbing Supplies Ltd. Powered by The IPG.